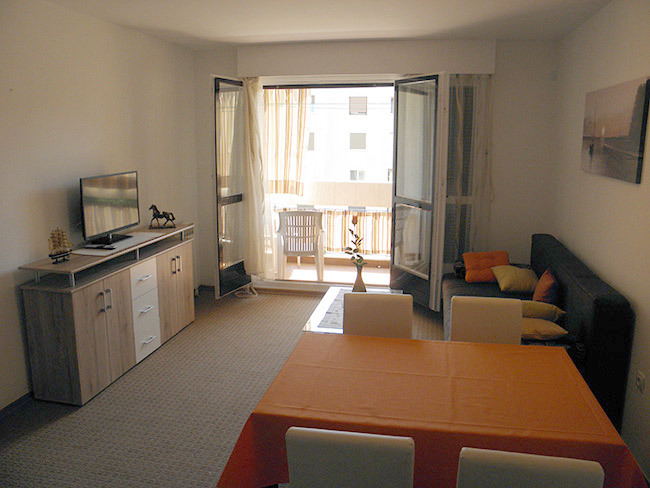 Apartment is located in Split. 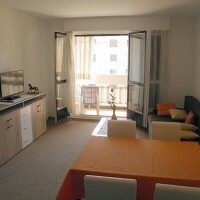 The location is 5 minutes walk from the beach resort and from few kilometers long promenade by the seaside, 15 minutes walk from the old city center. 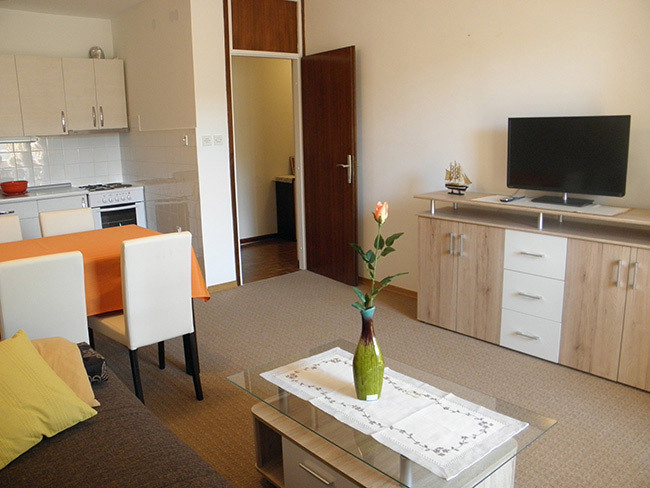 There are two bedrooms, living room with a kitchen, bathroom, luggage warehouse and balcony. There are four beds. 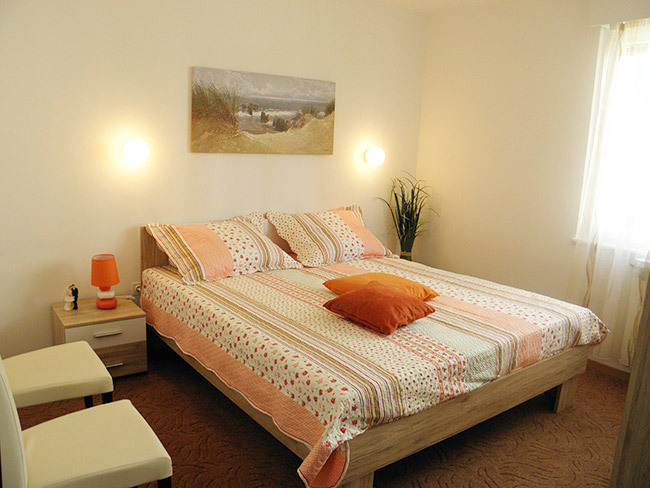 In one room there is a double bed and in the other room there are two single beds. This Ad has been viewed 2410 times.